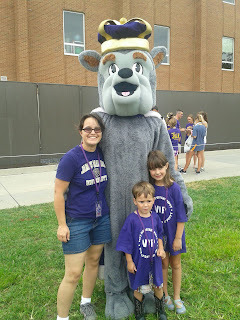 Last year I signed the kids up for the JMU Puppy Pound. JMU's mascot is the Duke Dog (a royally-attired bulldog). 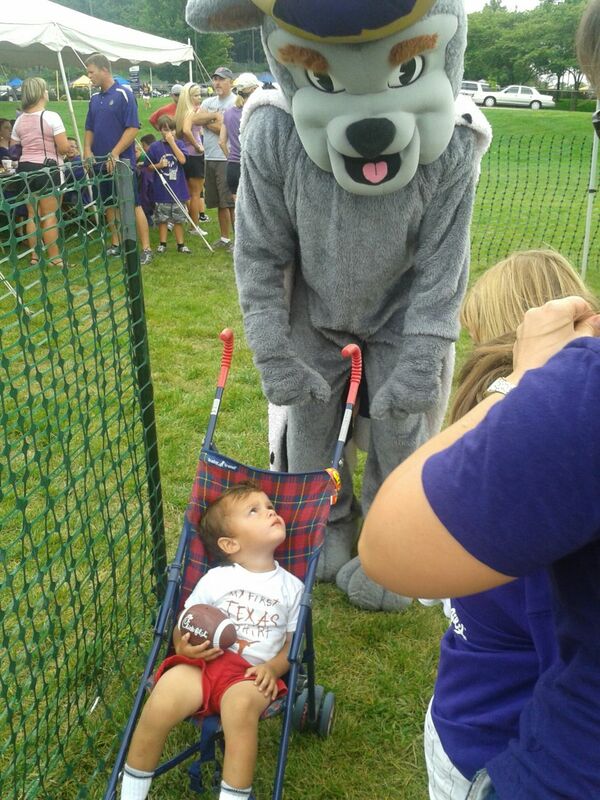 Area kids can join the "Puppy Pound" which allows kids free passes to lots of JMU sporting events. They had their opening event on Saturday before JMU's first home football game of the season. Stacey and I met at CVS and headed over to campus together. The kids all got free t-shirts and Chick-Fil-A sandwiches. They had a bounce house set up as well as a football throwing booth and a basketball shooting booth. They got to meet the Duke Dog and get their pictures taken with him. Benjamin says, "I no like da dupe dog!" The rest of us like him, though!! After we had hung around for a while, we walked across campus to check some other things out. 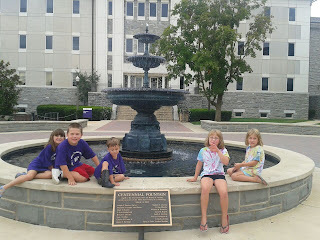 Both Stacey and I went to JMU, but a lot has changed since then and I wanted her to see the new fountain and the Quad. 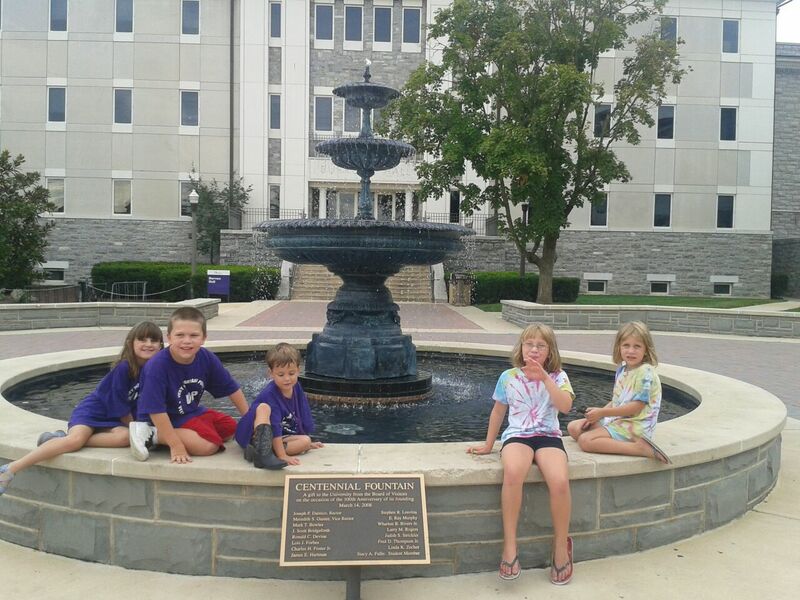 We had fun playing around the fountain in front of Burruss. They kids were experimenting to see which things would sink and which ones would float. They also tried every which way imaginable to get wet because we had told them not to. The kids all got thirsty, so we left and went to the Golden Arches to get free water and then headed home. I'm glad we got to spend the day tailgating!